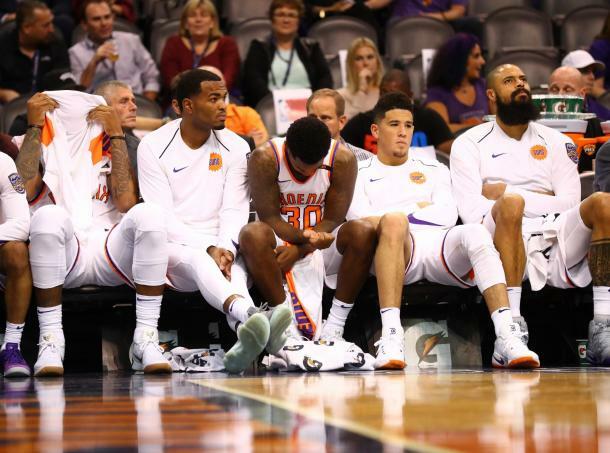 After adding two in the draft and one more in free agency, combined with the players on the roster, the Phoenix Suns have a problem with small forwards. “You can never have too much of a good thing.” It’s a saying that I’m sure we’ve all heard at some point in our lives. After thinking about it, there might be a such thing as a good thing. Last year, the Phoenix Suns added forwards Josh Jackson and Jared Dudley to the roster. This summer, the traded for Mikal Bridges in the draft and have since signed Trevor Ariza to a one-year deal. 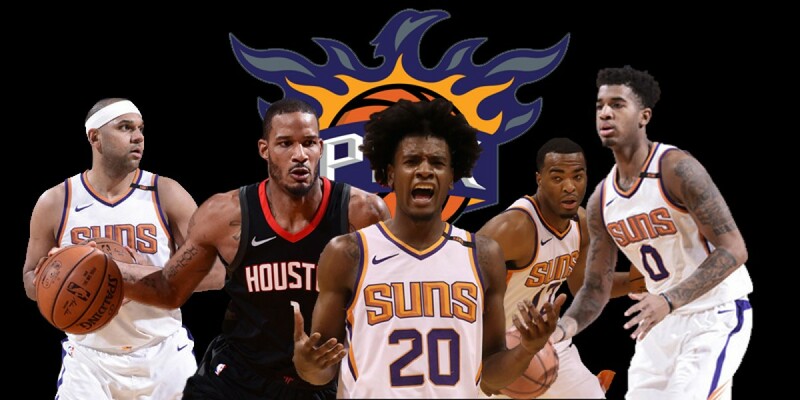 With T.J. Warren, Marquese Chriss and Dragan Bender also in the mix, the question now is do the Phoenix Suns have a problem at the forward positions? Potentially, the answer is yes. Where will playing time come from? With 48 minutes in an NBA game, where will the Suns find a way to give these guys the proper amount of playing time? Jackson averaged 25.4 minutes per game, while Warren averaged 33 minutes, Dudley averaging 14.3, Chriss averaged 21.2, Bender checked in for 25.2 minutes and Ariza clocked in at 33.9 minutes as a member of the Houston Rockets. Assuming Warren and Ariza start, they will take a bulk of the minutes. Jackson, Bridges, Chriss and Bender would be used when the Suns play with a smaller lineup, with Chriss and Bender playing at the power forward and center positions. That would leave Dudley as the odd man out. What ever they decide to do minutes wise, they will have to leave room for Jackson, Chriss and Bender to keep developing white Bridges adjusts to the speed of the NBA. With Jackson and Bridges likely the future at the small forward position, the would make Warren the likely trade candidate of the three. Last September, Phoenix agreed to a four-year, $50-million contract extension with Warren. Both Chriss and Bender could be on notice this season as well. If one out plays the other, one could be traded for future trade assets. For now, the organization said they want to keep both on the roster. Both are on rookie contract this season. Dudley may be kept on the roster due to him being a locker room leader. Dudley will play the 2018-2019 season on an expiring contract.